Warner Bros. did not air new footage of their upcoming summer thriller Pacific Rim during Super Bowl XLVII last night, but we have the next best thing today. 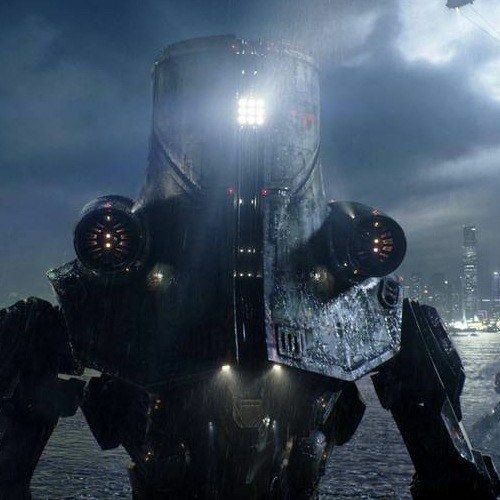 The studio has unveiled eight new photos from director Guillermo del Toro's sci-fi thriller, which pits giant robots against earth threatening kaiju monsters. This latest look at the film features cast members Charlie Hunnam, Rinko Kikuchi, Charlie Day, and the huge Jaeger robots that are used to fight off these dangerous monsters some 15 years after they emerged from the Pacific Ocean to wreck havoc. Take a look at these latest photos, along with commentary from Guillermo del Toro. "They are evolving, they are becoming bigger, stronger and smarter, and it's a very tough war." "We're trying very, very hard to make the fight scenes in the movie very visceral, very much like you are there. It's a very brutal series of battles we wage." "He's a guy who has a very noble heart and a very good presence, but the things he's trying to surmount are big." "She is facing her own personal demons when she attempts to ride a Jaeger and try to control it. She has a very personal story of destruction with the Kaiju - they basically took everything away from her." "Once you're in the robot you have to become one. You have to put aside everything you hate or love about the other person and just work together or we will not survive. That was the idea, that leaning and relying on each other is what makes us stronger." "We needed to create pamphlets, magazines, credentials, signing, construction manuals, logos, uniform patches, everything. We had to literally create every detail." "They're essentially destruction machines. One of the things the movie tries to do is evoke an incredibly rousing sense of romantic adventure - the big adventures you'd want to see as a kid." "No one believes in them anymore. Pacific Rim is a movie designed to put movie fans in the middle of this grand battle "and have characters that hopefully everybody can get a very good emotional grip on and enjoy the ride." The director first spoke about creating a world that has been forever changed by the Kaiju and the Jaegers. "It's really creating a world that's been shaped by two anomalies: the giant monsters and the giant robots we create to fight them." The humans that control these Jaegers are called "riders," a callback to classic Westerns, and the director also reveals there is another Western trope added into this futuristic thriller. "We made it a point to put the sound of spurs like a cowboy." Idris Elba also spoke about his character Marshall Stacker Pentecost, the spiritual and moral leader of these Jaeger pilots. "He's not playing second banana. He's at the center of the conflict. He's the only guy who cannot give up." Guillermo del Toro also spoke about his favorite Kaiju creature, which he lovingly refers to as "Leatherback." "I find him very, very endearing. He has a big belly so I identify with him. He's no doubt my main man."